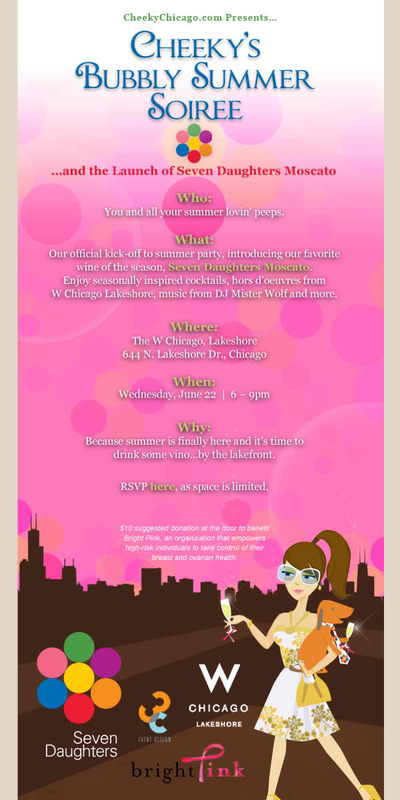 Celebrate the beginning of summer with the CheekyChicago girls at the W Hotel Lakeshore tonight. It's the hottest place to be in the city to toast in the warm weather with the launch of Seven Daughters Moscato. Cheers!